With a beautifully subtle porcelain finish this Winchester kitchen is able to effortlessly combine a timeless shaker-style with the best of modern living. It has a classic charm with an up to the minute style, what’s not to like? The back splash can be personalised with any coloured tiles to suit your kitchen theme. 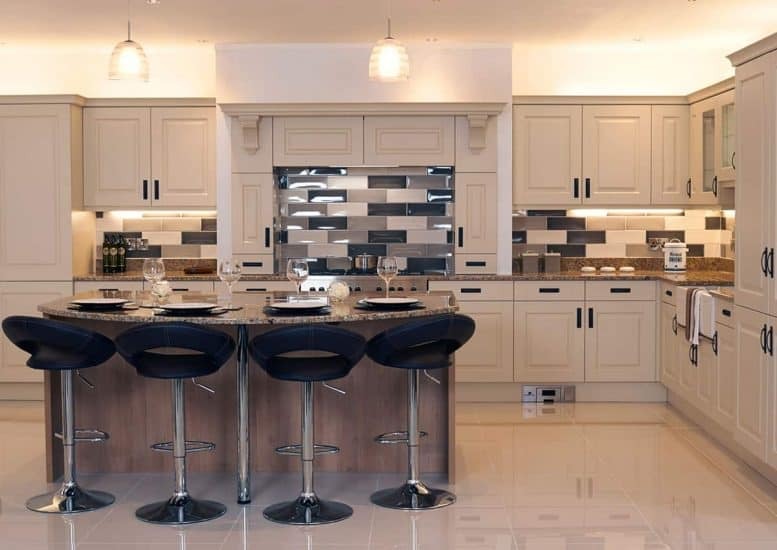 All of our fitted kitchens are made in house, in our Dungannon factory showroom.By cutting out the middleman, we are able to bring you the highest quality kitchens for competitive prices! 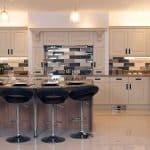 We create all of our kitchens bespoke to your home measurements, which means everyone of our kitchens is unique to the home that it is fitted in. Did we mention fitting is included with every one of our kitchens? We also make sure that every piece of your kitchen is made to the best possible standard, we provide a 6 year guarantee to make sure that you’re covered no matter what life throws at you or your kitchen!